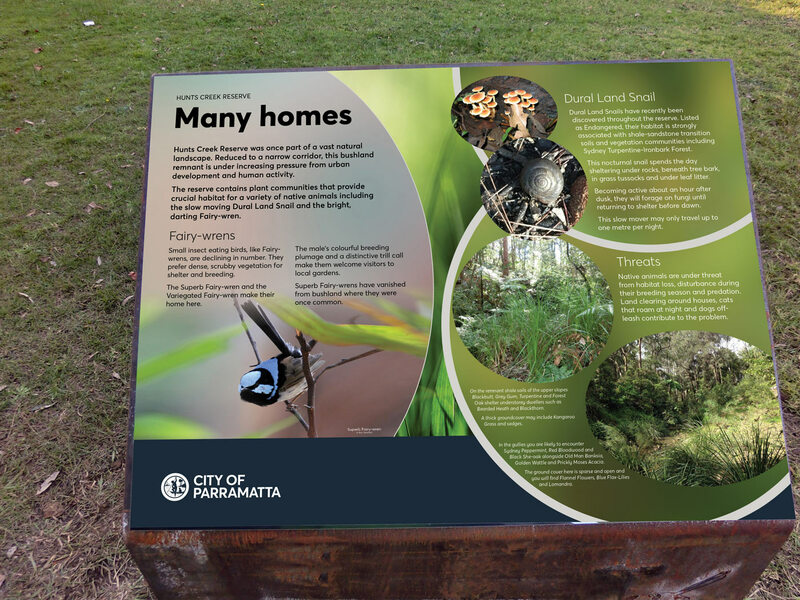 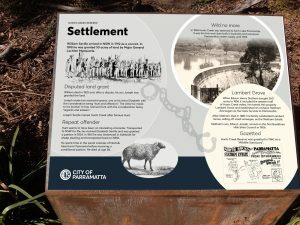 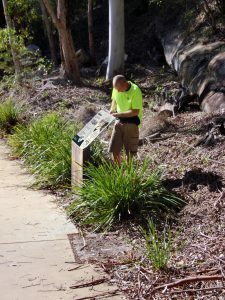 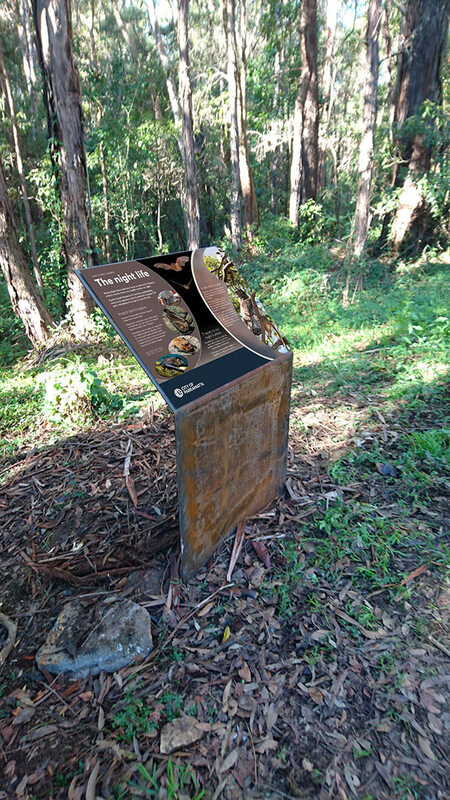 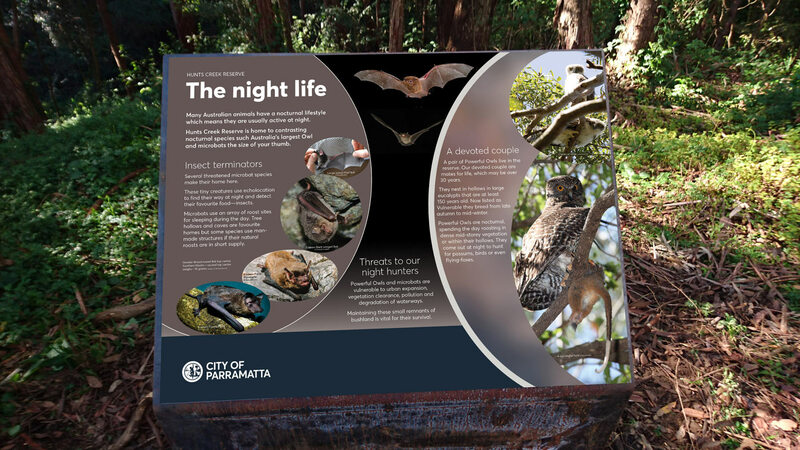 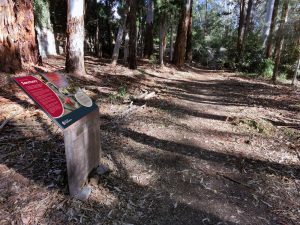 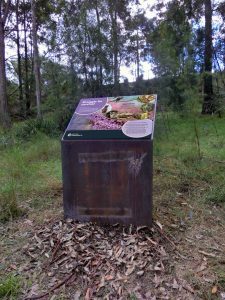 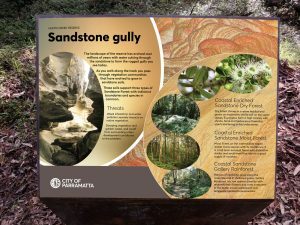 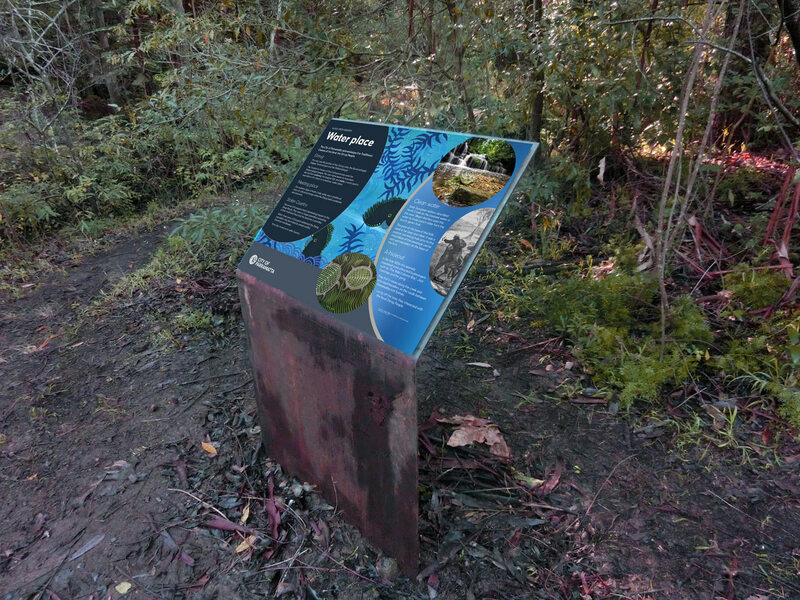 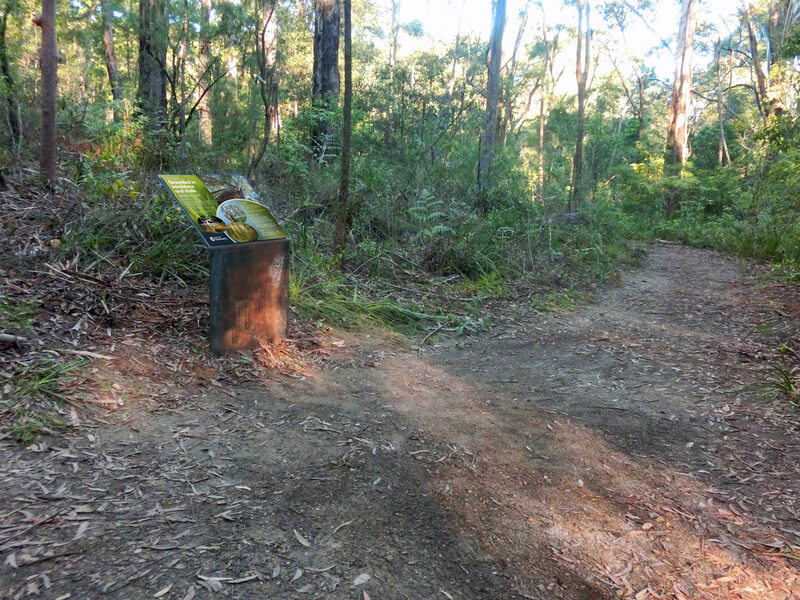 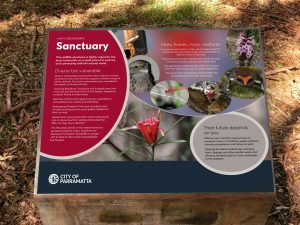 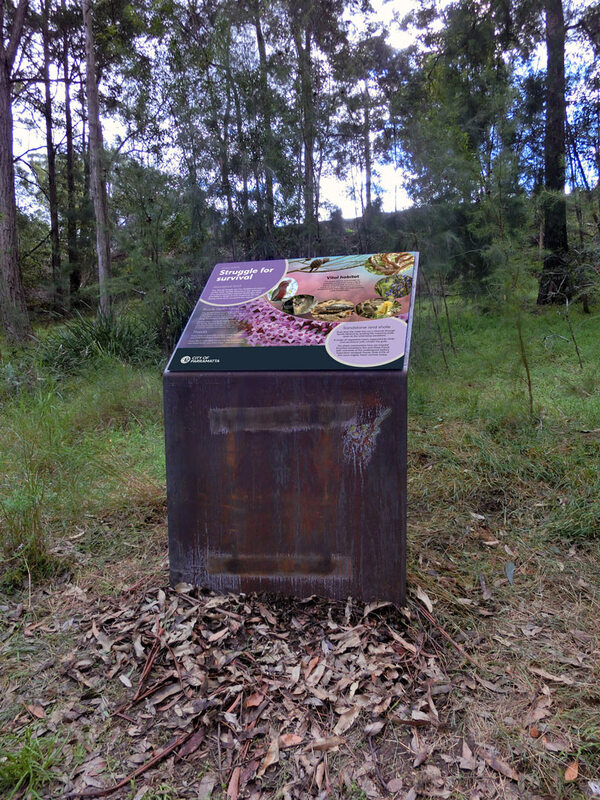 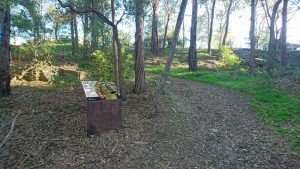 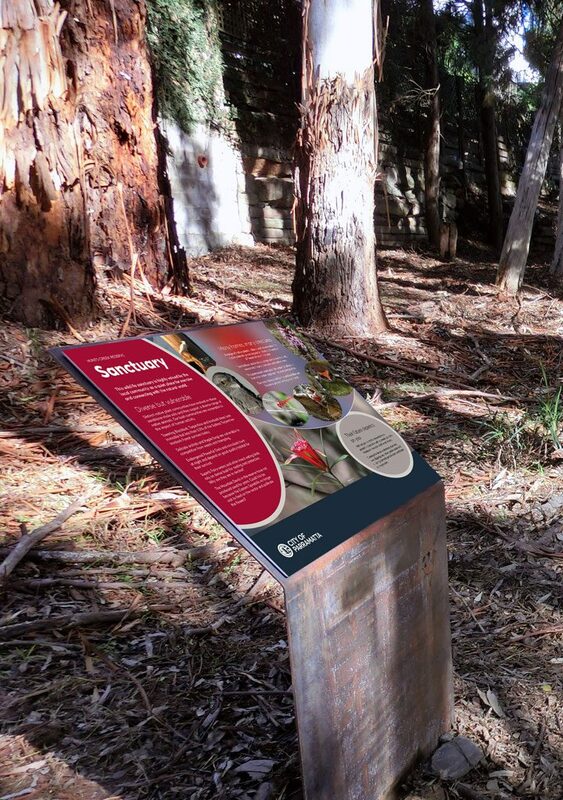 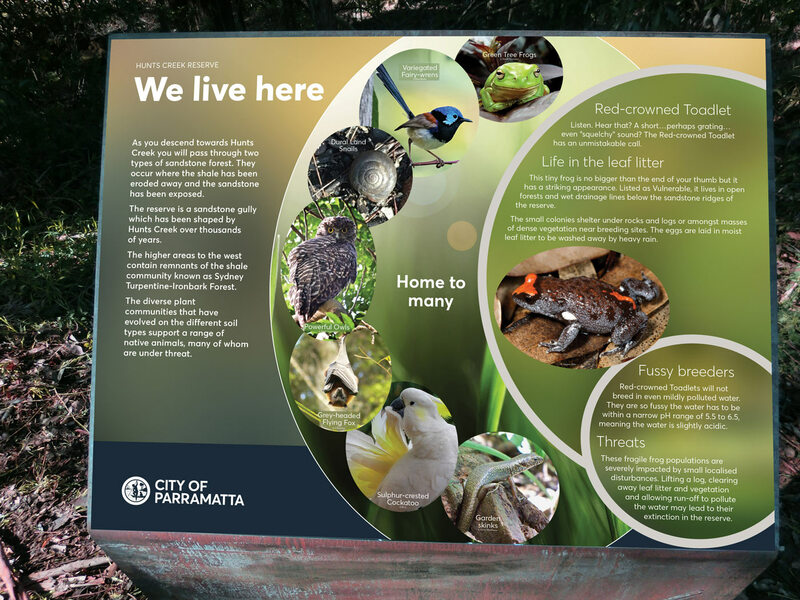 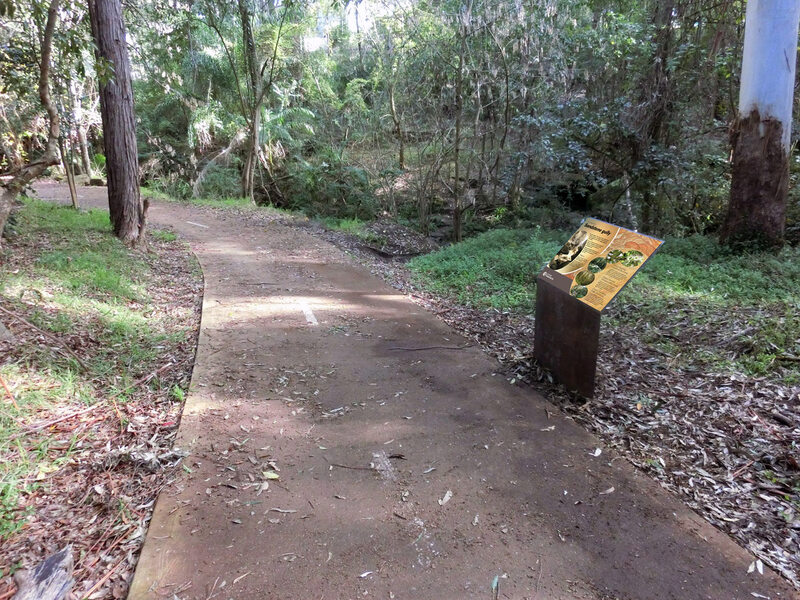 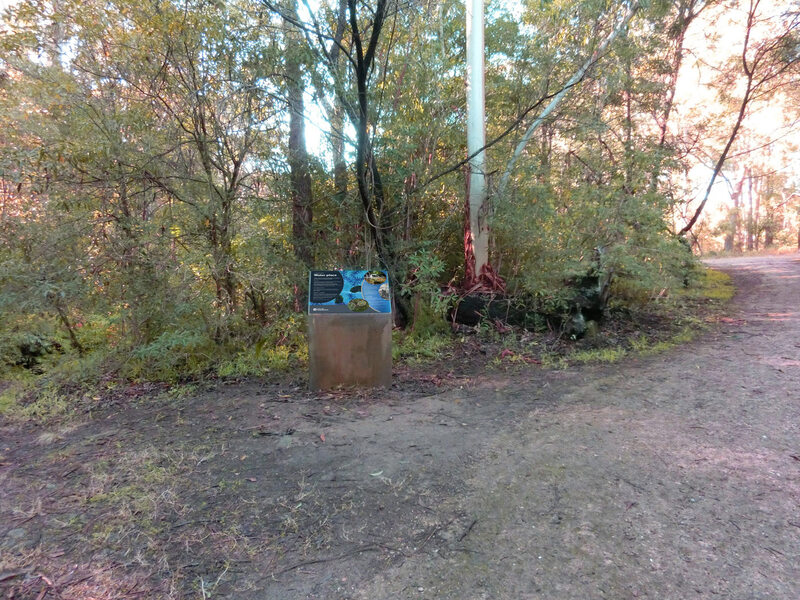 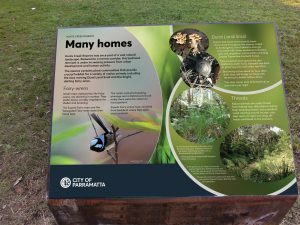 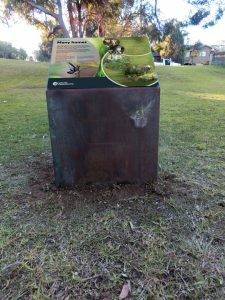 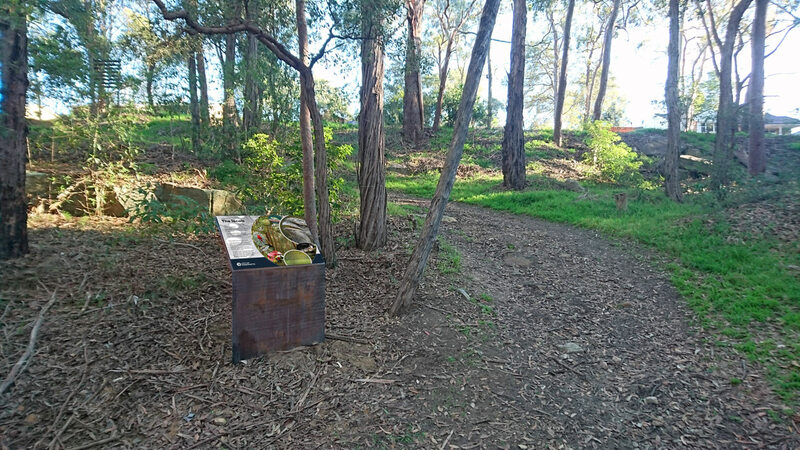 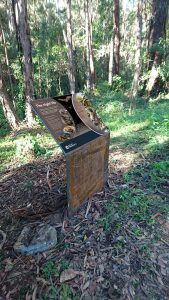 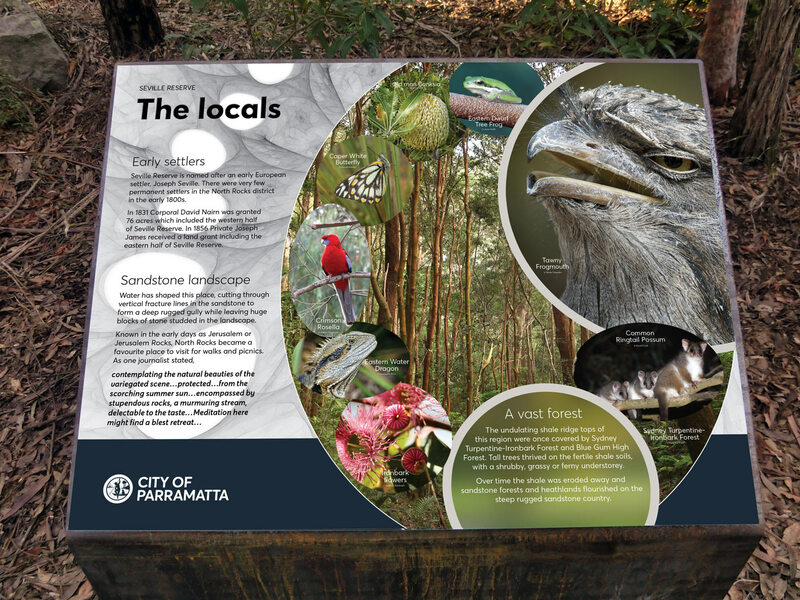 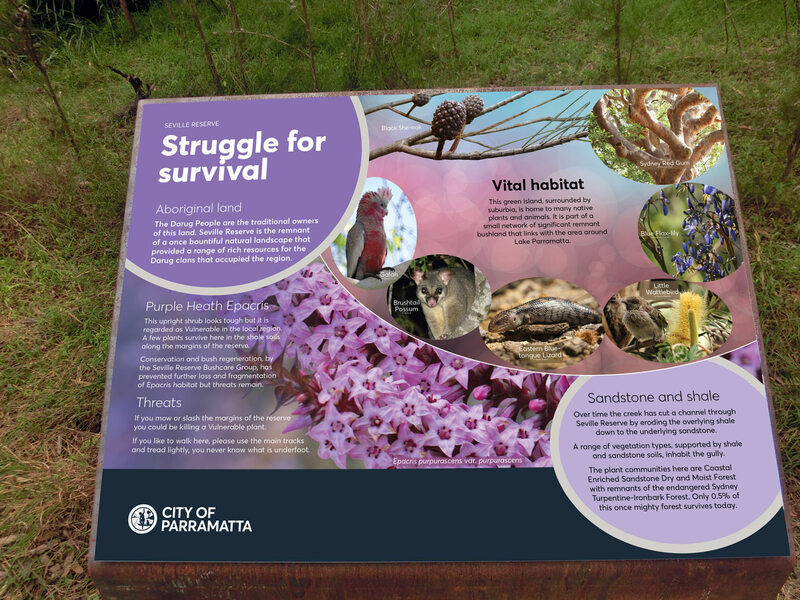 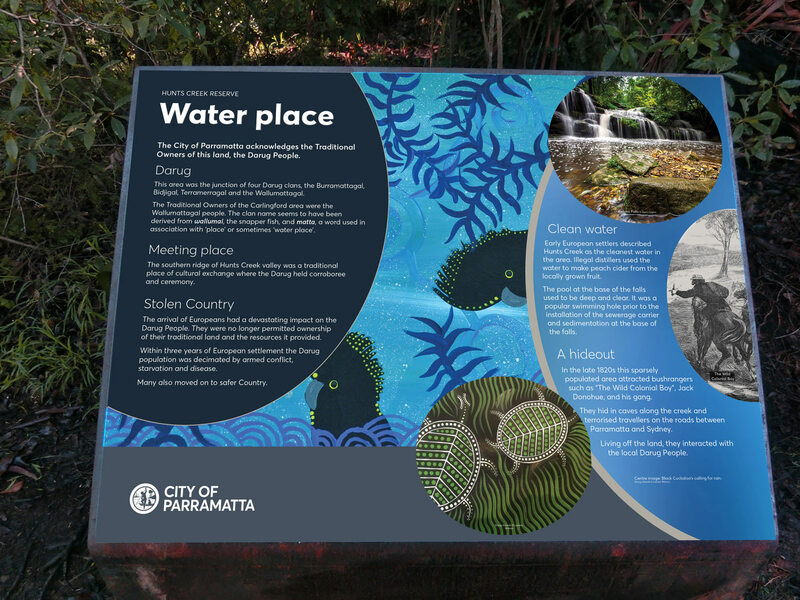 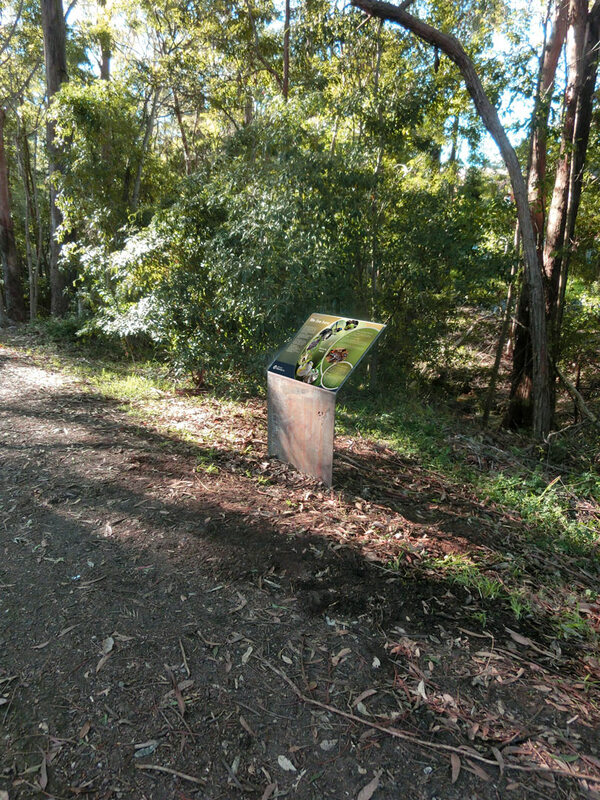 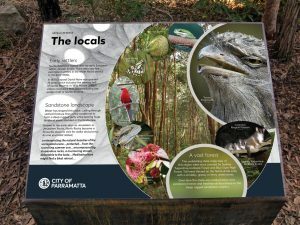 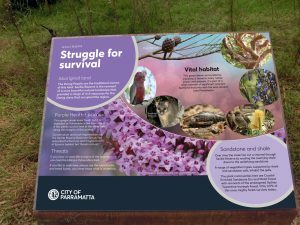 Council wished to produce Environmental Interpretive Signs to provide cultural and environmental education opportunities within Hunts Creek and Seville Reserves. 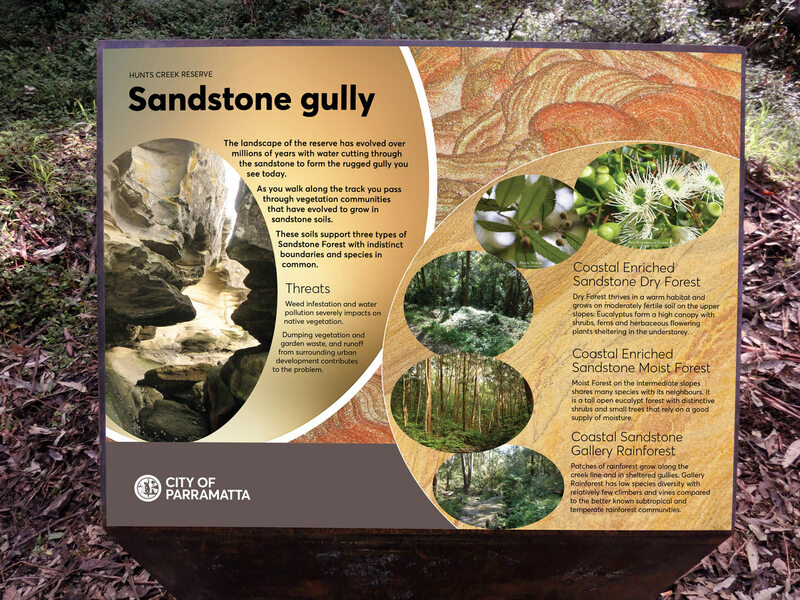 The interpretive content is targeted towards residents and visitors. 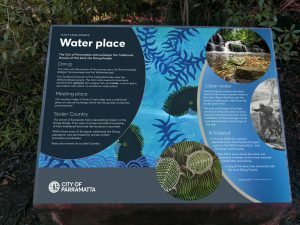 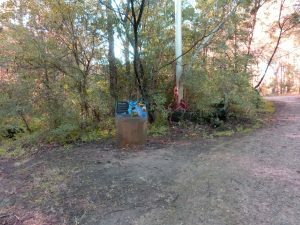 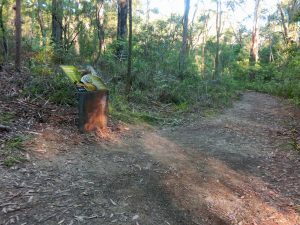 The City of Parramatta Council acquired Hunts Creek and Seville Reserves from Hills Shire Council during the Council amalgamations of 2017/8. The reserves contain important landscape features (Balaka Falls and sandstone caves), endangered ecological communities and threatened flora and fauna species. 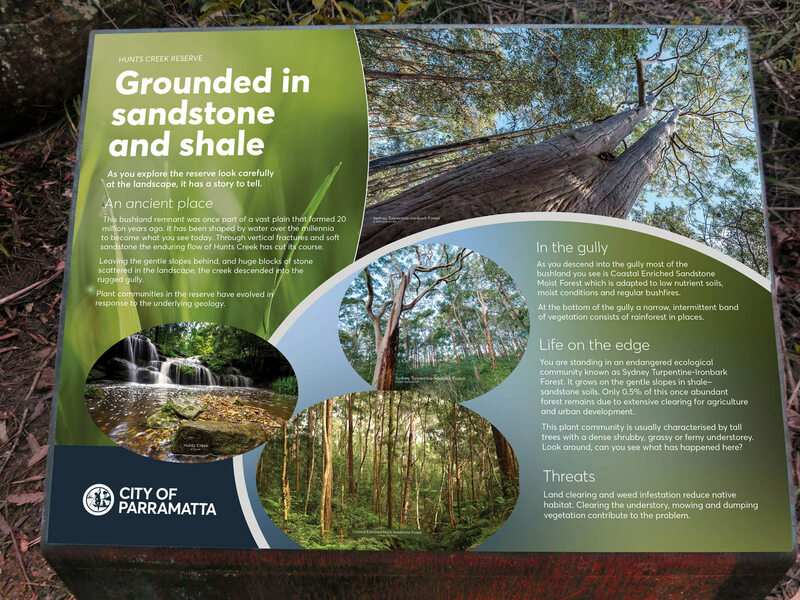 They also have rich cultural heritage value from the perspective of Aboriginal occupation and subsequent European land use which the council wished to convey to residents and visitors..